An International Subsea supplier to the oil & gas, shipping and aquaculture industry. Otech is an international subsea supplier to the oil & gas, shipping and industry with local presence in several countries. 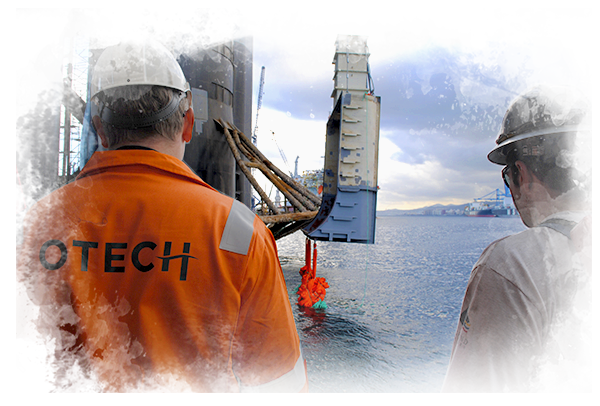 Otech offers a variety of subsea services with it`s main focus on surface supplied diving operations. With our slogan solving challenges subsea we embrace a challenging industry and provide specialised equipment, compact spreads and years of knowledge to deliver cost-effective, tailored solutions to meet individual client needs. 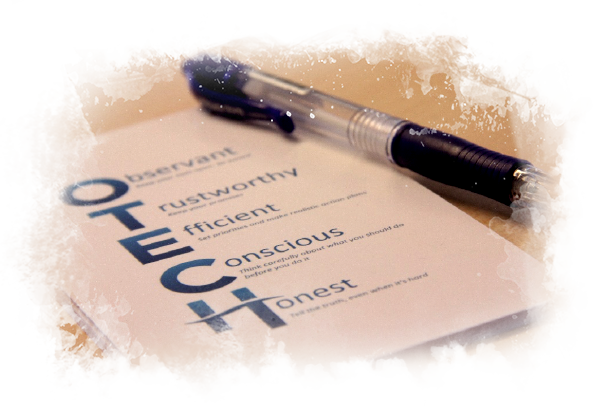 The Otech Group consists of companies and branch offices all structured under the board of directors in Norway. The board of directors transmits the same philosophy throughout the whole organization to ensure that the client receives the same product or service anywhere in the world. Mr. Tveit assumed the position as Chairman of the Board in 2016 and is one of the main shareholders. He joined Otech Marine Services in 2007 and has held various positions within the company, including Managing Director. Since 2016 Mr.
Tveit has held the position as Honorary Consul of Norway for the province of Las Palmas de Gran Canaria, Spain, where Otech has developed facilities. As the founder of Otech Marine Services in 2005 Mr Tveit is still one of the main shareholders and an active member of the Board of Directors. His experience includes more than 30 years in the offshore diving industry working for Oceaneering, Stolt Nielsen, today known as Subsea 7, and FMC Kongsberg. Several years after leaving his position as vessel manager of “Seaway Pelican” he founded what is today Otech Group. Mr Eide has served in the Board of Directors as a member since September 2016. Mr. Eide today holds the position as President of the family owned holding company Barge Invest AS, as well as being President of the daughter companies Eide Floatel AS, Eide Bygg & Anlegg AS and NorWater AS. His background comes from developing the family owned companies in Høylandsbygd gaining more than 20 years of experience from marine and rig repair projects, including project management, technology development, docking and mooring operations. He holds a Bachelor degree as an Marketing Economist from OMH Business School in Norway..
Mr Lothe joined Otech Marine Services Norway as Senior Diving Advisor in August 2016. He started his Diving career in Ghana in 1975 and has served in various positions within the industry since then. He has held managerial positions in Elf Petroleum, Oceaneering, Global Industries and Technip. He has served as IMCA Diving Committee Chairman and also served on the UTC Arrangement Committee. He holds a Cand. Mag (BA) degree in Social Sciences from the University of Oslo. Otech Group AS (Otech) was established in August 2016 after the successful completion of the restructuring of its former parent company. Otech is the parent company of the subsea services company Otech Marine Services Norway AS and the Aquaculture service company Otech Aquaculture AS. Inspired by the potential to increase safety and efficiency of more complex shallow water subsea operations and the provision of high quality surface diving services, Otech Marine Services AS was established in 2005. Combined with highly experienced personnel with knowledge of IMR diving operations, the vision was to develop a world leading company suited to handle repair and maintenance operations for the oil & gas industry at shallow depths with the highest level of safety. 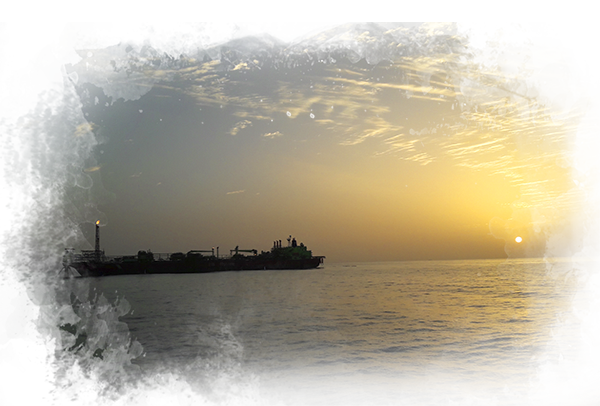 From the early years of thruster replacements in the Gulf of Mexico, the company today performs engineering and execution of complex and challenging projects all over the world with support of their local branch offices. Otech has today two main offices, headquarter located in Haugesund, Norway and a main office in Las Palmas, Spain. The office in Las Palmas, Canary Islands is specialized in attending the north southbound traffic and acts as a Otechs hub for the West African market. Since joining Otech Marine Services in in 2007, Mr. Tveit has held various positions including as Managing Director. In 2016 he assumed the position as CEO of the mother company Otech Group and is one of the main shareholders. His early background is from construction and real estate before shifting into offshore where his experience includes offshore projects such as Kvitebjørn, Ekofisk M, Kårstø and Kollsnes gas terminals before joining the company. Since 2016 Mr. Tveit has held the position as Honorary Consul of Norway for the province of Las Palmas de Gran Canaria, Spain, where Otech has developed facilities. Mr Sørenes joined Otech Marine Services in March 2015. His experience includes administrative and operational management positions within the oil and gas industry from companies such as Total E&P, Statoil, Norsk Hydro. He holds a degree in Economics. From the late 90s his career includes positions such as Business Development manager, Department manager, Division manager within service companies, contractors and operators in the US, Europe and Asia. Mr Koch joined Otech in February 2016 and serves as a Dive Operation Manager. He has a degree within project management and a comprehensive track record as Diving Supervisor within the Oil & Gas sector and from the Fish Farming industry, including managing some of the largest and most complex air-diving projects performed in Norway. Mrs Bendiksen is an experienced Health, Safety and Environment manager with a demonstrated working history in the oil & energy sector including renewable energy, in Europe and the Middle East. Mrs Bendiksen holds a degree within HSE from HVL. Mrs Bendiksen joined Otech after working with subsea and marine operations for EPC contractors in Norway. Mr Bustillo joined Otech in 2013, and was relocated to Otech Marine Services Spain the same year. With a technical degree and background he has quickly moved from Dive Supervisor into an operational management position. His experience includes a wide range of diving projects in both Spain and West Africa. 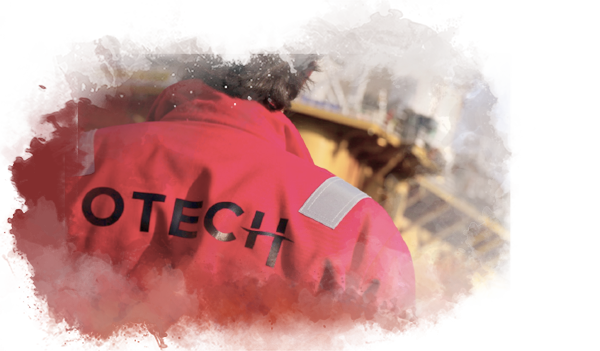 Otech offers a range of services to the oil and gas industry with an extensive track record of successful projects in this market. Our expertise in shallow water operations, inaccessible to WROV, has made Otech a preferred supplier for Oil & Gas Operators, Rig owners, EPC and EPIC providers worldwide. We are recognised as a provider of high quality, high intensity projects compressing downtime for clients to a minimum. Our service portfolio comprises a range of high quality services such as Chain, Riser and Turret inspections and repairs, IMR services, Thruster replacements, Underwater habitats and cofferdams, Cathodic protection systems & ICCP retrofits and Decommissioning. Otech has the capability to provide inspection, maintenance and repair for the Aquaculture industry and have committed to several projects developing new technology for the sector, in particular the offshore segment of Aquaculture. Otech has since 2005 established a significant track record for providing services to the shipping industry. Certified by the most recognized classification companies, we provide numerous services ranging from Class Inspections, Buyers inspections, Thruster replacements, Propulsion & Seal repairs, Hull cleaning, propeller polishing as well as hull repairs afloat and salvage operations. Otech has the capability to provide IMR for offshore wind and renewable projects. 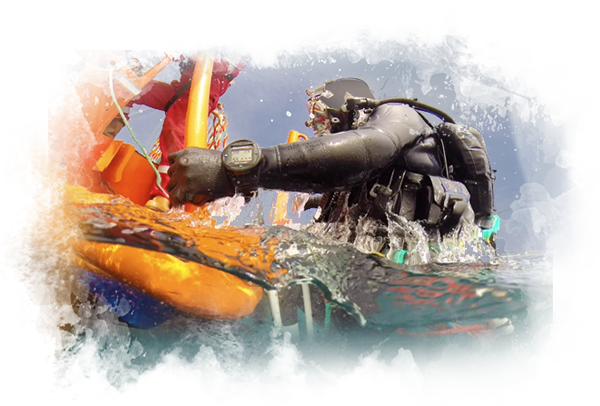 We operate shallow water diving and ROV spreads, suitable for remote locations. Our light diving systems can easily be integrated as part of the infield installation projects and mobilised onboard installation vessels. We are proud to be a Norwegian Company and we strive to offer an excellent product to our clients focused on high safety standards, innovative solutions and quality at the same time as it is Efficient. The Otech Group is an international subsea supplier to the oil & gas, shipping and aquaculture industry. Otech Group has established its position within the subsea industry through years of solving challenges subsea. Our commitment towards delivering quality and efficiency has developed an organization of employees able to create, innovate and deliver. Based in Norway, with years of operational success, we are proud to offer our clients a comprehensive portfolio of services to meet their challenges and develop long-term relationships ensuring quality, safety and environment. We shall continue our growth, developing our range of services, improve innovation and be a leader, not follower, in the subsea sector worldwide. The most important asset we have is people. Protecting people is top priority within the Otech Group, and it is our objective to deliver quality work through innovative solutions in a safe environment for all our employees, clients and subcontractors. 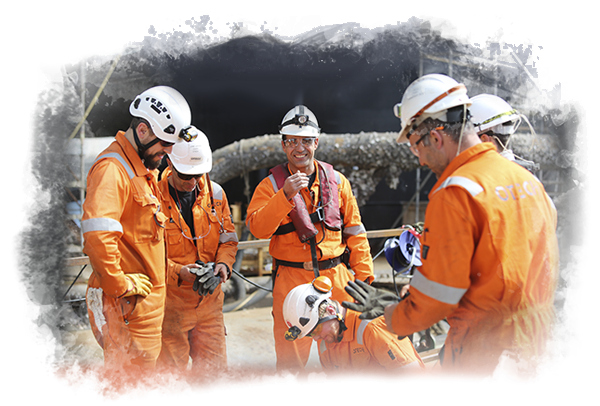 Our people is what makes us successful and we constantly challenge our approach to quality, health, safety and environment. Our management is deeply committed to continuous improvement. We care for our people and take part in associations that improves our organizations skills, knowledge and provide training and development of our employees.